A whopping 12 subjects are included on Part One. 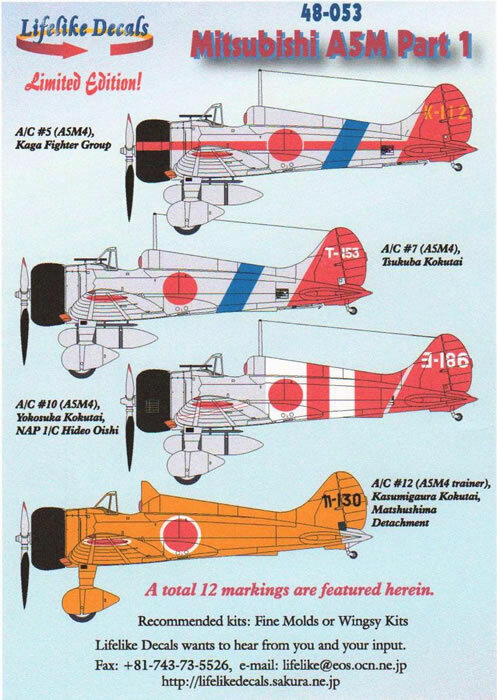 Variants covered are the A5M2b Early (one aircraft), A5M4 (10 options) and an A5M4 trainer. 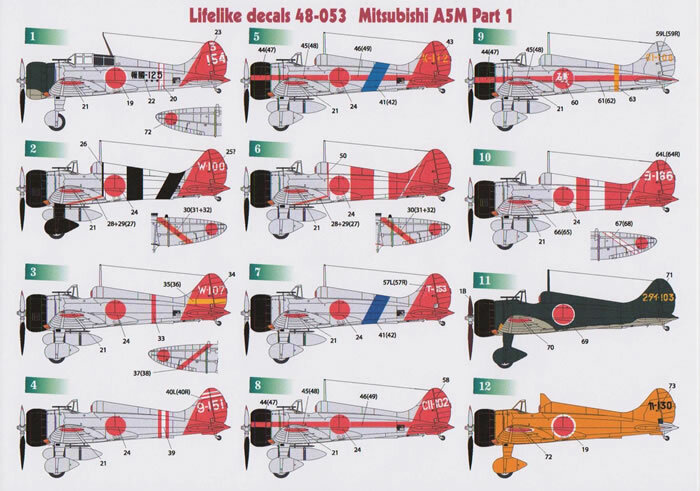 Ten of the aircraft are finished in natural metal with a range of red, white, yellow, black and blue fuselage, wing and tail markings. One of the A5M4s is in green upper surfaces and grey below; while the trainer is orange overall. 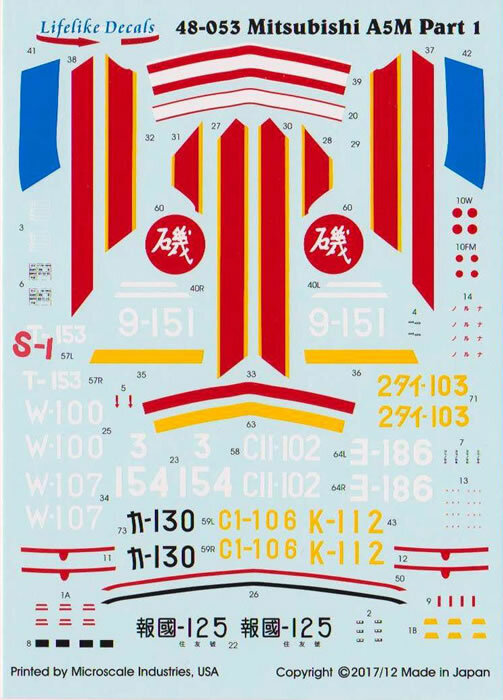 There is a full-sized sheet for the unique markings, with a smaller sheet of national markings and some additional red and white stripes. 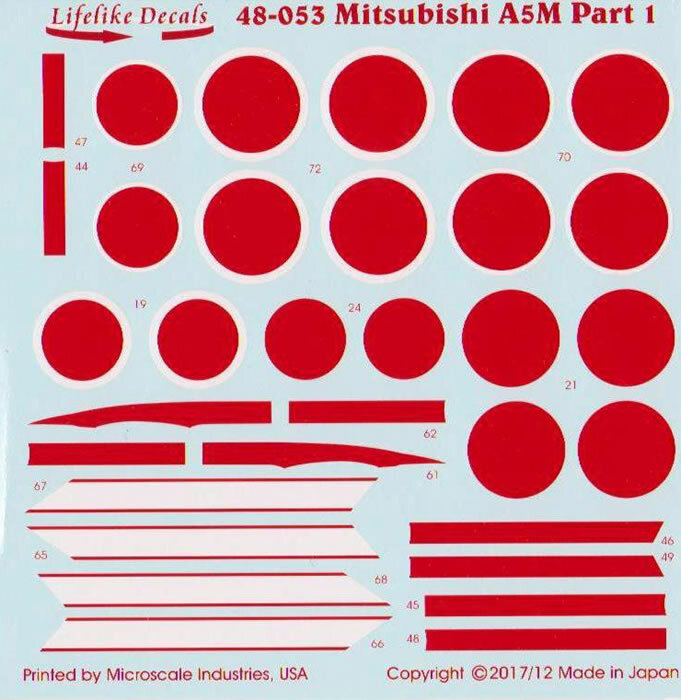 LifeLike Decals' 1:48 scale Mitsubishi A5M Part 1 offers a great range of markings presented to a very high standard for worthy models from Fine Molds and Wingsy.